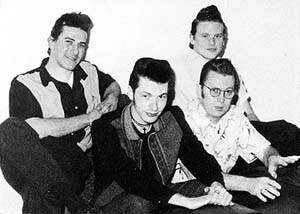 BRING your dancing shoes and a party mood to the Northern Star Hotel on Friday night when wild crazy rockabilly rebels EIGHT BALL BABY will rock the house. The guys haven't been doing too many pub gigs lately as club gigs have been taking priority. But the band says it loves 'the sense of togetherness - the blood, sweat and beers' that a pub adds to its music. Joining the band on stage this week will be rockabilly guitarist MICK MAUNSELL from SONIC ACES and NAVAHO DADS.